Animal Control Officers (ACO’s) joined the Citrus County Sheriff’s Office on September 1, 2009 and are a part of the Patrol Division Special Operations Unit. ACO’s respond to complaints involving domestic animals and livestock, including calls involving animals that are abused, dangerous or a nuisance to the citizens of Citrus County. They have the authority to remove these animals and issue citations for violations of the county’s Animal Control ordinance. Normal operating hours for the Sheriff’s Office ACOs will be from 7 a.m. to 9 p.m., seven days a week. Officers will be on call from 9 p.m. until 7 a.m. for any emergencies that may arise. Citizens may call the non-emergency number (352-726-1121) to report animal complaints, or simply dial 911 to ask for assistance during an emergency. The Animal Control Unit consists of 6 full time and 1 part time officer as well as a working supervisor. Alpha & Bravo - with 3 ACO’s on each team. Officers respond to calls for service between the hours of 7:00 am & 9:00 pm seven days a week. One Officer remains “on call” to respond to emergency calls after hours. ACO’s work closely with the Citrus County Animal Shelter but are not employees of the shelter. ACO’s cannot make decisions regarding shelter fees, adoptions or care & disposition of animals at the shelter. What types of calls do ACO’s respond to? Any call regarding domestic animals, including livestock, as well as sick or injured wildlife. 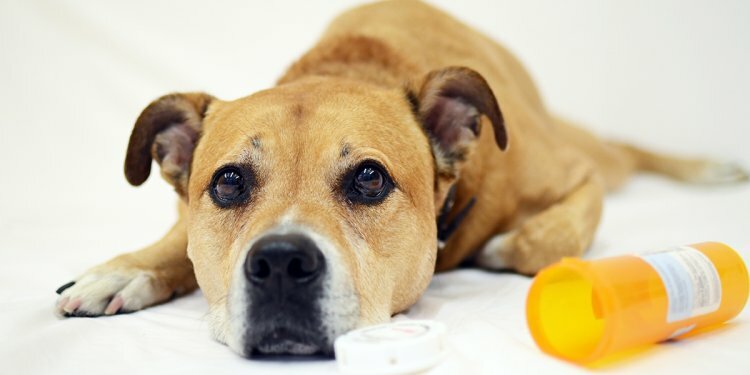 What should I do if my pet is missing? If so, contact the shelter at 352-746-8400. Check frequently as animals are added throughout the day. If not, you may also contact CCSO Dispatch (352-726-1121) to give a description of the pet, as well as your name, address and phone number. Where can I find the County Animal Control Ordinance? What should I do if I am issued a warning citation? Proof of compliance for the violation must be presented in person at the County Shelter within the specified period of time. Failure to do so will result in a fine and/or court appearance. What should I do if I am issued a citation? Citations must be paid at the Animal Shelter within 30 days of issuance. If payment is not received, the citation will be sent to the Clerk of Court and set on the docket to be heard by the judge. You will be notified via summons regarding the date and time of court appearance. How can I make a complaint regarding an animal or animal owner? Call the Dispatch Center at 726-1121. Give as much information as possible, including description of owner’s residence, animal, etc. Include contact number for yourself in case the ACO needs additional information. All dogs, cats & ferrets over 4 months of age are required to have a rabies vaccination and County License YEARLY. Any dog or cat sold in the state must have a Health Certificate, regardless of animal’s age. Dogs that are tied must be on a minimum 20’ tether w/ shelter & water at all times, per County Ordinance. Dogs may not be tethered using a choke chain or prong/training collar. All dogs kept outdoors must have access to shelter with a floor, roof and 4 walls at all times. All animals should have access to fresh, clean water AT ALL TIMES. Animal Services can microchip your pet for permanent lifetime identification ($15.00). All stray animals are scanned in the field to identify and locate the owner. The leash law does not only apply to dogs. It includes CATS, livestock, chickens, and all other domestic animals & states animals must be on owner’s property at all times. In order for dogs to be on public or private property they must be on a leash and under control of a responsible person at all times. The Crimestoppers Program can be used for animal related calls. Tipsters remain anonymous and may be eligible for rewards. Animal Control Officers (ACO’s) are available to respond to routine calls for service between 7:00 am & 9:00 pm seven days/week including holidays. Emergencies are responded to 24 /7. or simply by dialing 9-1-1. ACO’s do not respond to wildlife calls unless the animal is sick or injured. ACO’s are employees of the Sheriff’s Office. The Citrus County Animal Shelter is under the Board of County Commissioners. While both organizations work closely together, they are separate entities. Contact an ACO by calling dispatch (352-726-1121) and request a phone call from an Officer. What if my pet is picked up by Animal Control? Go to the Citrus County Animal Shelter during business hours. Bring proof of a current rabies vaccination. (If you are unable to show proof, one will be given while at the shelter, or a warning or violation citation may be issued). Show proof of a current Citrus County Animal License. (If you are unable to show proof, you will be asked to purchase one, or a warning or violation citation may be issued). Sign and receive any notice of violation citations that may be attached to your pet. Pay all fees for impoundment, board, or other charges for your pet. Pets will be held five (5) days from the date of impound before becoming County property. What do I do if a warning citation is issued? Warning notices may be issued for lack of rabies vaccination, county license, proper shelter, proper veterinary care and/or other violations of County ordinance. Your pet does NOT have to be impounded in order for you to receive a warning citation. If you receive a warning citation, you must correct the violation within the prescribed time limits and present satisfactory proof to the Citrus County Animal Shelter. One major problem that has been hinted before which scares people from getting propane heaters or gas heating devices.